January 25, Davos Switzerland — In a podcast session during the World Economic Forum with Robert and Barney Swan, the father-son explorer duo who flew to Davos directly after their 600-mile journey across Antarctica, Global GoalsCast, a podcast that inspires and empowers listeners to take action around the Sustainable Development Goals (SDGs), presented the first global Climate Change Sentimeter in partnership with the data science company CulturIntel. 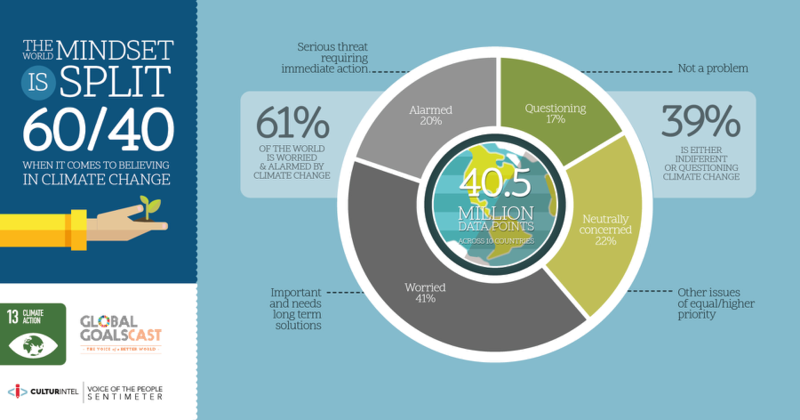 This finding confirms the need for platforms like Global GoalsCast, that was ‘inspired by and launched to deliver content and stories to demystify the SDGs and positively engage everyday citizens, giving tangible actions to contribute to solutions towards creating a more sustainable world,’ said Romo Edelman. Tune in to Global GoalsCast on Apple Podcast, or wherever you get your podcasts, to learn more. 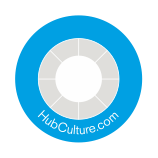 Hub Culture is a collaboration network established in 2002. We are building the foundations of a virtual state through the development of technologies. Ven, the world’s first digital currency, is the stable, green engine of the Hub economy. HubID is your digital identity passport and data vault. Zeke is an artificial intelligence, a learning algorithm at your service. These and other services help our members build worth worldwide. We invite you to join us via the Hub Culture and Ven apps and at HubCulture.com.